Rated among the 25 best shorelines in the world by Conde Nast’s Traveler, Oval Beach has the right combination of sand dunes, seclusion and services that create its cachet. 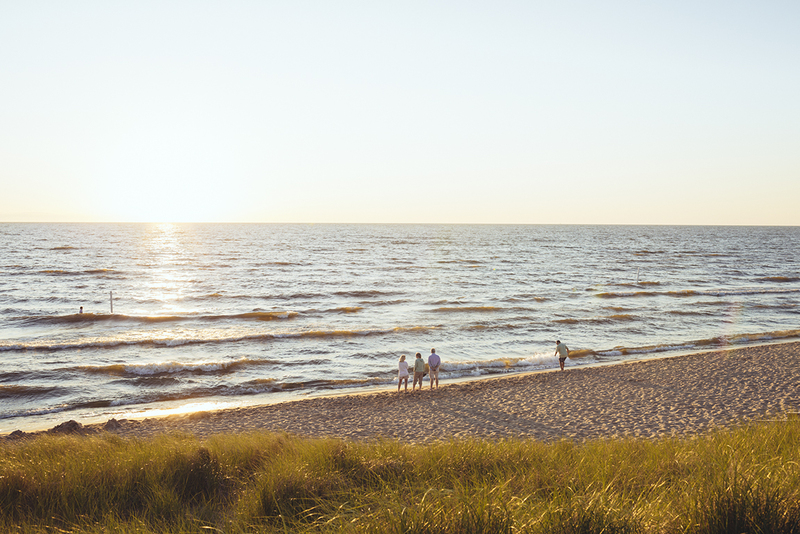 Discover it best by riding across the Kalamazoo River on a hand-pulled chain ferry from the town of Saugatuck, climbing 282 steps to Mount Baldhead, and descending onto the grassy coastal sands. Lifeguards, concession stand.